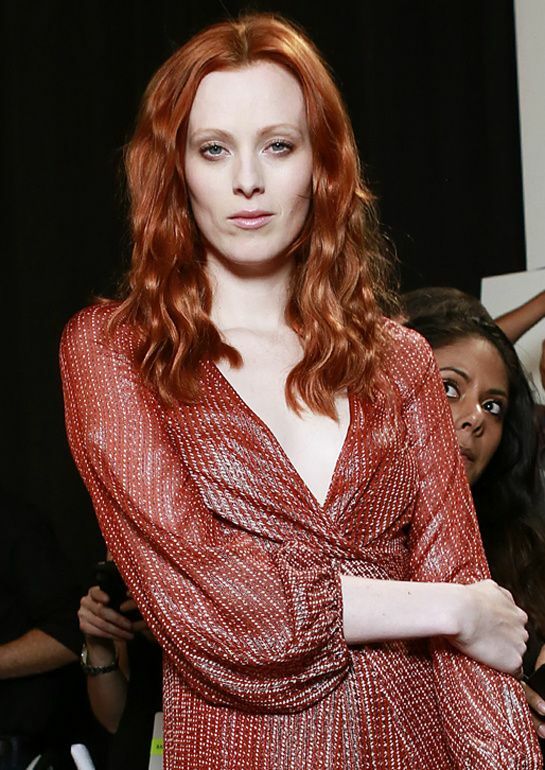 Talk about Karen Elson It is a different model. 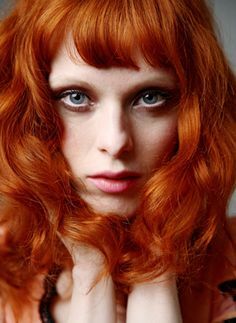 Not only because of what you see at first glance, a beautiful white skin and a color of red hair that makes it distinguishable immediately, but his career both inside and outside the catwalks. Furthermore can boast of being one of the most active models once the thirty, proof of this is their latest campaigns for Cavalli, Celine, and Max Azria among others. 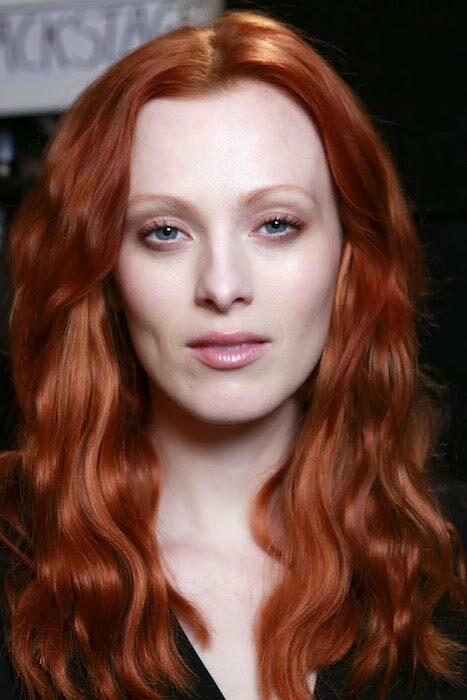 Born in Manchester in 1979 and with another twin sister also model (Kate Elson), he landed in the world of fashion with just 15 years old, in 1996. His early work as a model would develop them in London but soon is he realized that if he wanted to progress you should migrate. And so he did, first in Tokyo and then in Paris, where would debut in 1997 at the gateway of the hand of Chloe and Hermes. That would be him also to become image of fragrance Happy by Clinique and for starring in covers for Vogue and Elle, both in its French version. 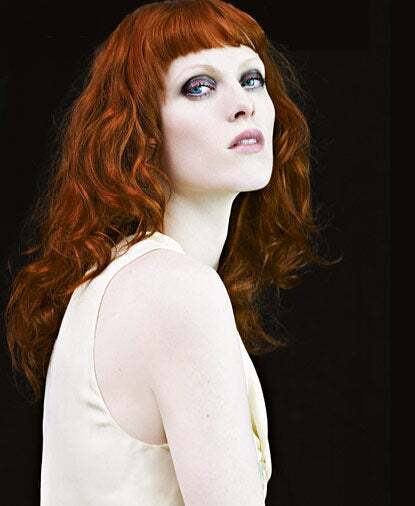 That same year Karen Elson also protagonizaría the cover of the Vogue Italy, where known to Steven Meisel, the great defender and promoter of the career of Karen. The chemistry with the American photographer was decisive, indeed he himself recommended you Karen plucking her eyebrows and give much more intensity to the color of his hair, and according to the results it seems that it was right. Snap to that great year put it at a great pace on the catwalks, the year of his debut arrived to perform about 50 parades, scandalous figure for any late 90’s model. 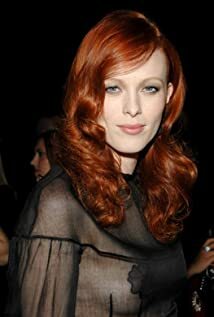 Such was its success that would receive one year later the award as recognition VH1-Model of the Year, replacing the very Kate Moss who was the winner of the previous year. Obviously these awards made to increase your cache and in fact we would start to see more and more advertising campaigns as of Chanel o Versace, photographed not by Steven Meisel. In subsequent years, although their pace on the catwalks decreases gradually, if you have seen in numerous campaigns. 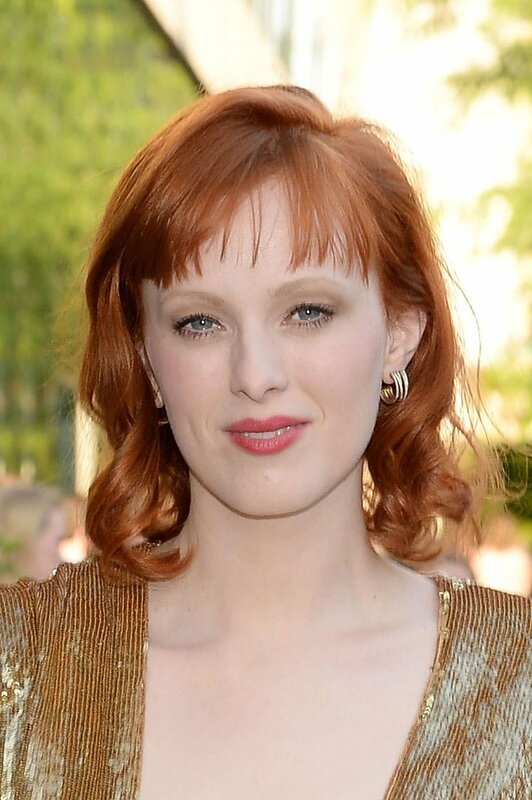 From Yves Saint Laurent (2004, 2005 and 2007), Louis Vuitton (his best season, in 2004), Prada (2004 and 2005), Valentino and a long etcetera, rare was the campaign where this striking redhead does not appear. We have even seen in the Pirelli Calendar from 1999 to 2006 and also in the annual parade of Victoria’s Secret in the year 2002. Another of the great passions of Karen is the music and film. In fact we have seen her performing several steps, for example in this video for the Group White Stripes, where it appears for several seconds at the end of the video clips. During the recording of the video clip you would know to which is now her husband, the guitarist Jack White, with whom he married one year later. In 2006 and 2007 would be a mother of a girl and a boy, but her pregnancy was not her impediment to see it on the catwalk in some other parade like this of Marc Jacobs at the end of 2005 where sported a prominent tummy. From the birth of her second child his work on runways would practically testimonial. Just to see it for Anna Sui and Zac Posen during 2007 and 2008, although since the end of 2008 his work rate has climbed back as foam. He would star in front pages, like this one from Vogue UK, and become the image of Celine and Max Azria. For this 2009 is image of PHI, Chanel cruise and Cavalli, of course, in the hands of Steven Meisel. In addition this spring has paraded for Givenchy, Yves Saint Laurent and Chanel being responsible for opening the parade. And it is that Karl, very given to baptize and to exalt their favorite models already said of her that she was the model of the Millennium. 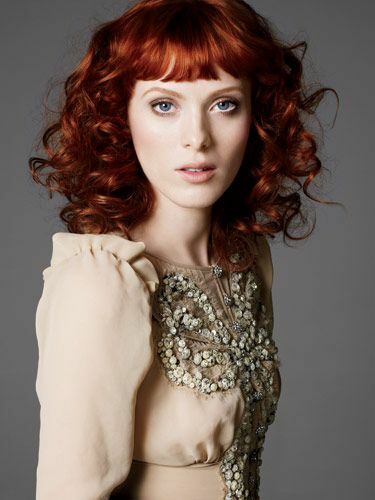 Life in pics: Editorials: "Red hot"
Color Inspiration – Red Heads!